AIK MINI 6 heat pump has such built-in features: air conditioning module, peak finish heater (electric boiler of 3 to 6 kW), as well as 3-way valve and heating, air-conditioning systems and external circuit circulation pumps. All AIK MINI heat pumps are equipped with electronically controlled thermostatic expansion valves. 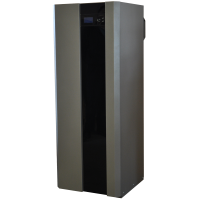 AIK MINI 6 heat pump has such built-in features: air conditioning module, peak finish heater (electric boiler of 3 to 6 kW), as well as 3-way valve and heating, air-conditioning systems and external circuit circulation pumps. All AIK MINI heat pumps are equipped with electronically controlled thermostatic expansion valves. The compressor module is separated from the hydraulic module with vibration dampers. If necessary, it is possible to install a smooth start device or a frequency converter. This model is designed for heating, hot water supply and cooling of small-scale facilities. While operating the unit in active air conditioning mode the heat taken from the premises is used for the hot water supply, thus reducing the economic payback period of equipment. The controller incorporates a weather-dependent control function. All heat pumps are equipped with on-line monitoring and control. 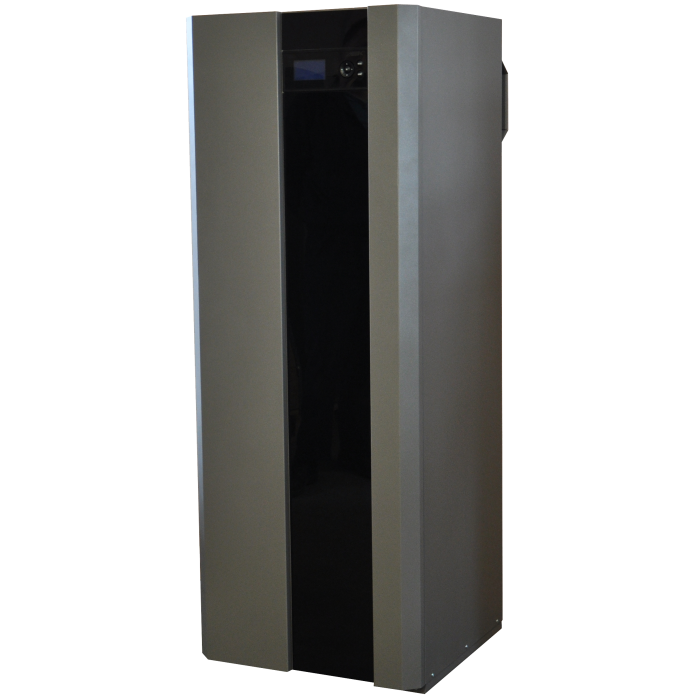 The heat pump AIK MINI features: compact size, low noise, built-in air conditioning module and a state of art design. "A&K GROUP LLC 08141 Kyiv Region, Kyievo-Sviatoshynskyi district, village Petrivske, 30А Kyivska str. Info.aik-group@i.ua +38 067 233 72 33"